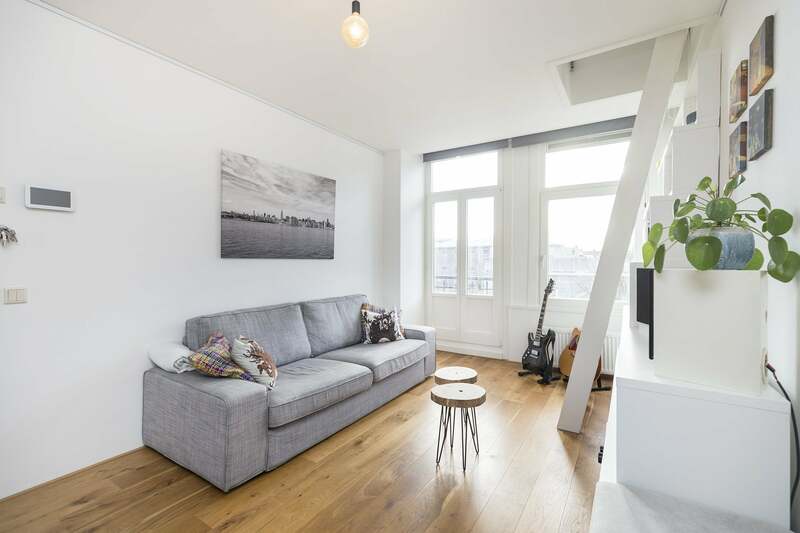 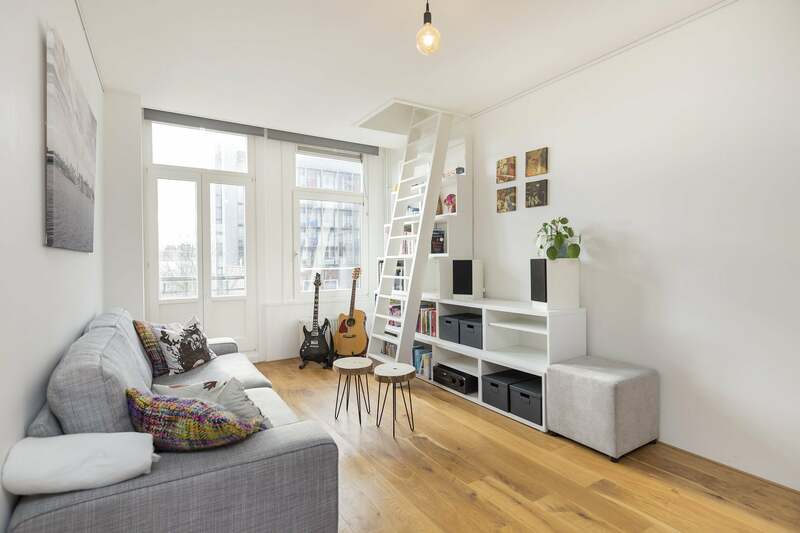 Fresh and stylish 1 bedroom apartment, blending wooden floors and modern furnishings with a great location close to Amsterdam’s adored Vondelpark. 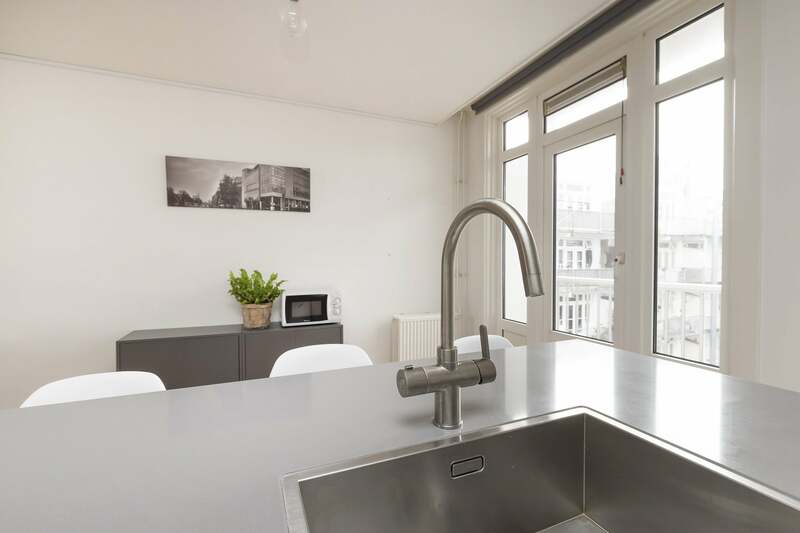 Occupying the 3rd floor and measuring 55 m², the lodging makes the perfect choice for a rewarding city base. 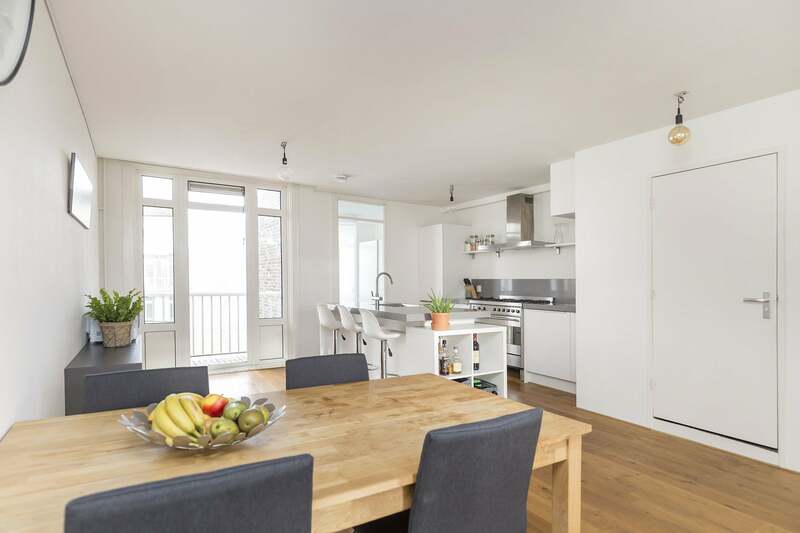 Fully furnished for the utmost convenience, the apartment welcomes with a bright living and dining space featuring ample natural light. 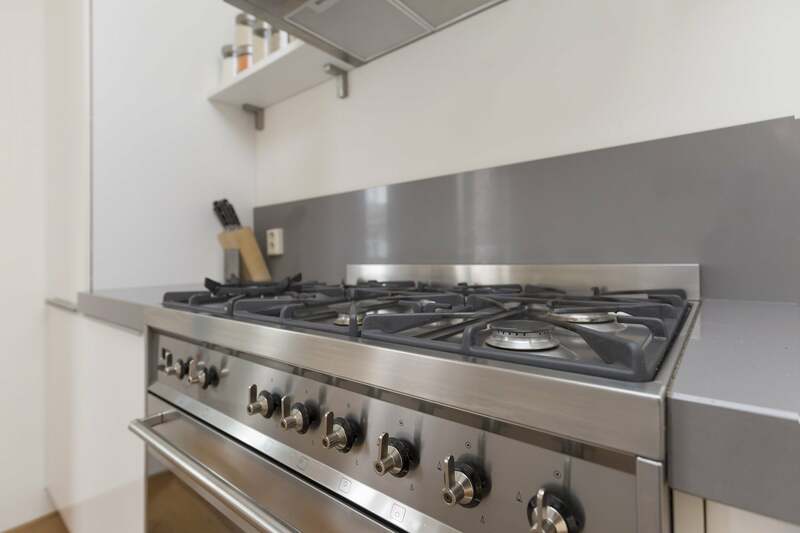 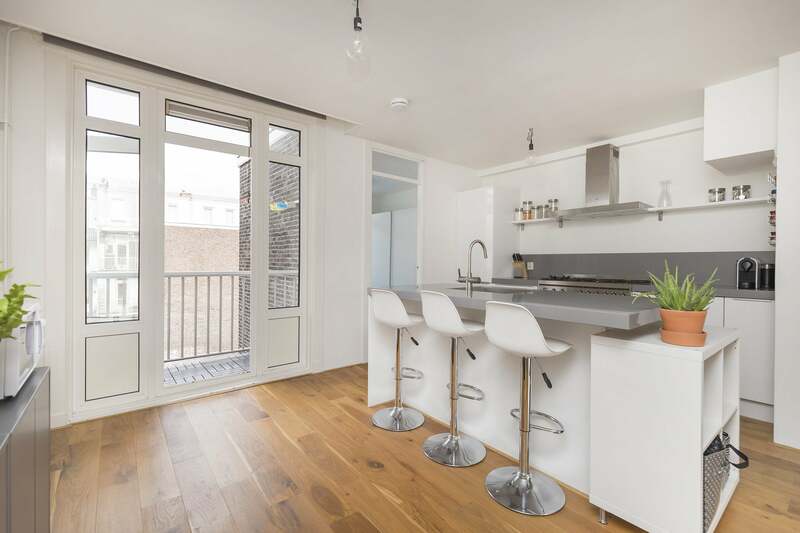 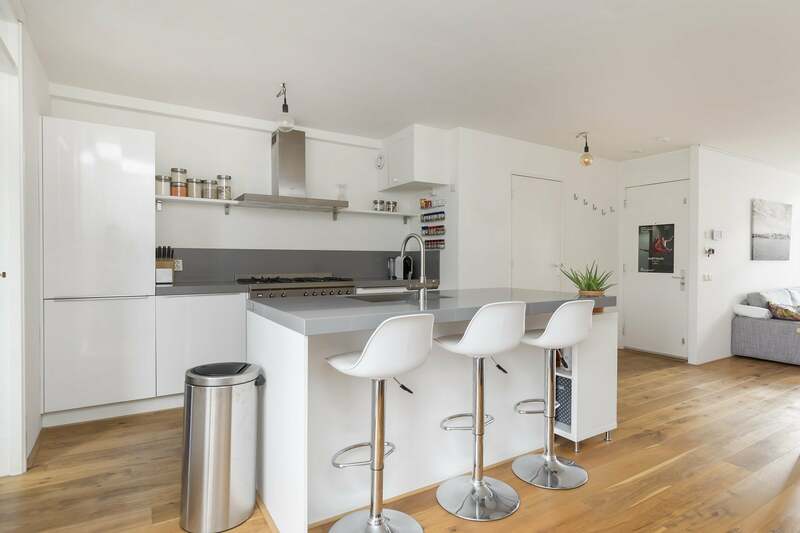 A sofa and a dining table are at your disposal and a contemporary kitchen with a central island is on hand to cater to all your culinary needs, supplying such essentials as a hob, microwave, oven and a fridge. 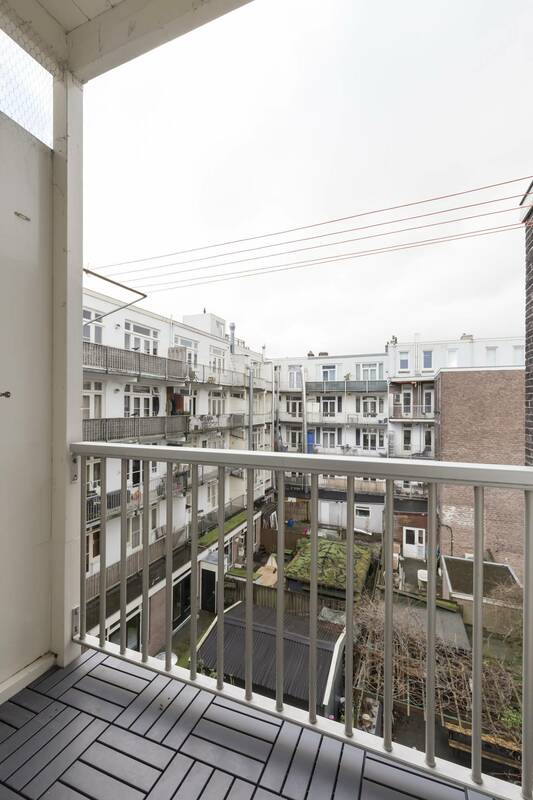 A cosy west-facing balcony can be found at the rear, offering a breath of fresh air after a busy day. 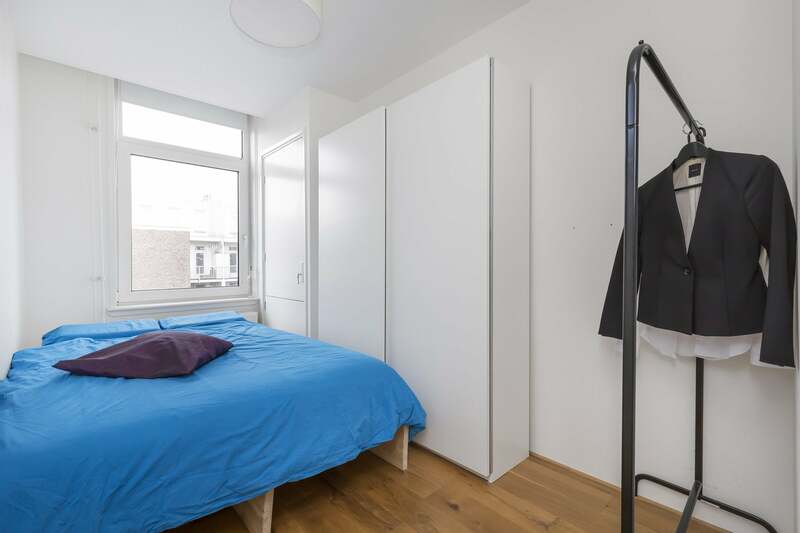 The bedroom features a double bed and wardrobes, and the bathroom comes complete with a sink, toilet and a walk-in shower. 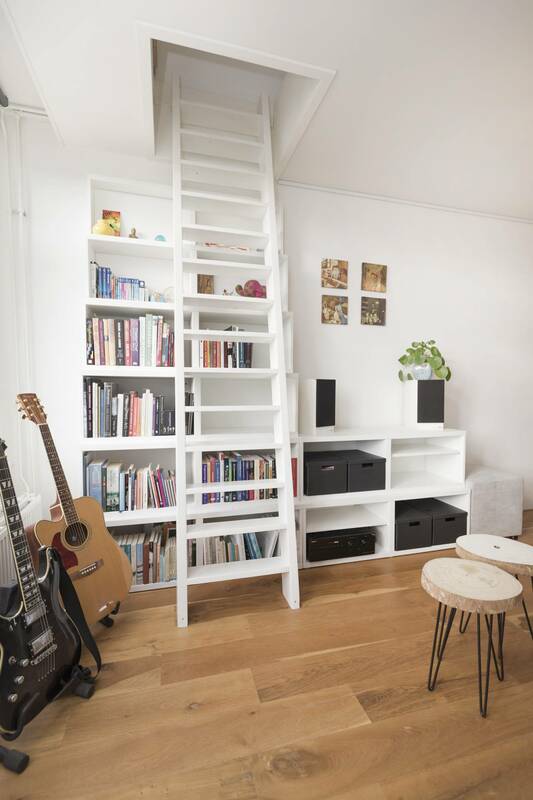 A staircase leads from the living area into the attic, which provides an ideal spot for an office or for housing guests. 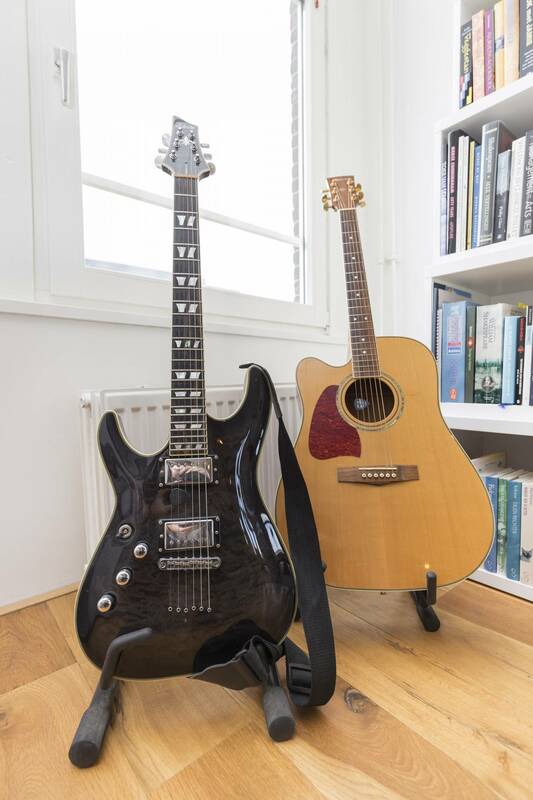 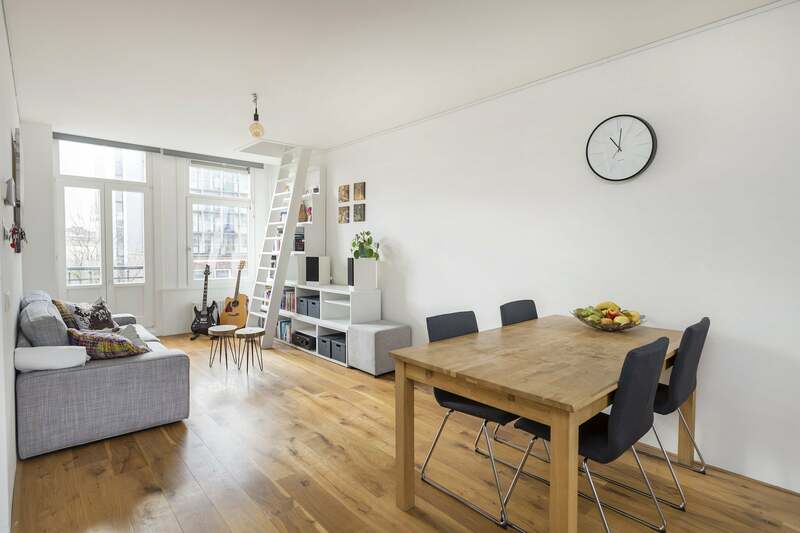 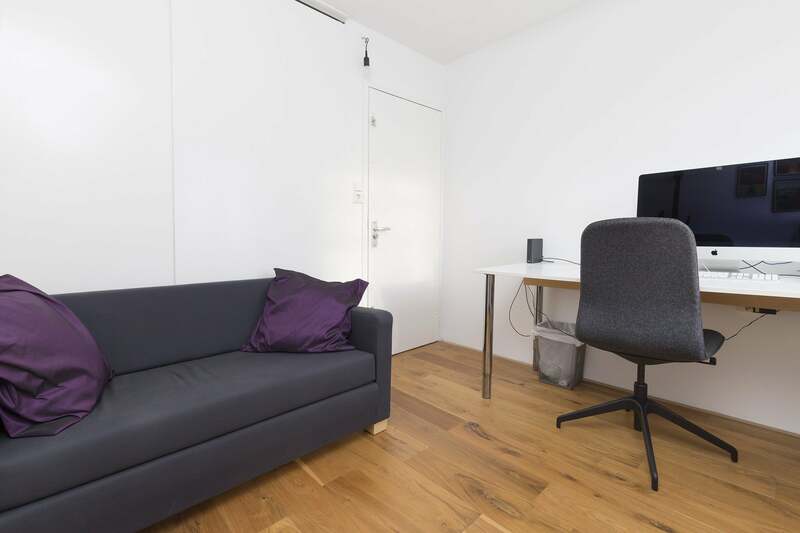 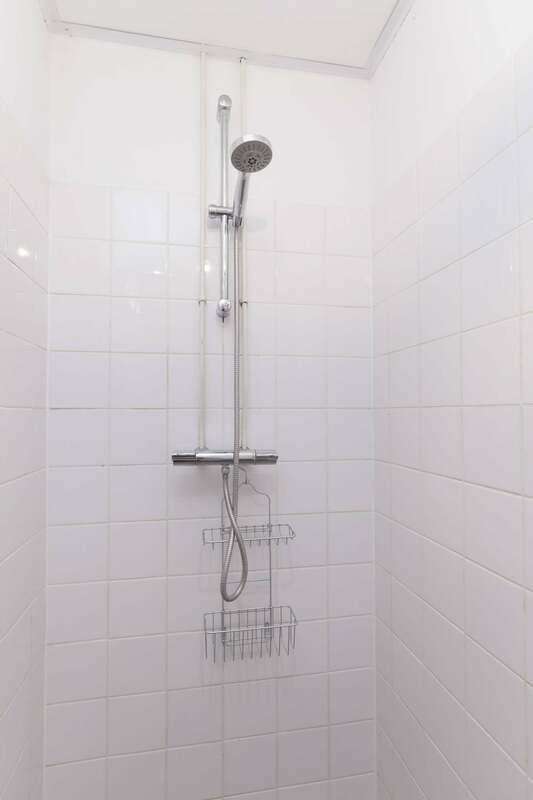 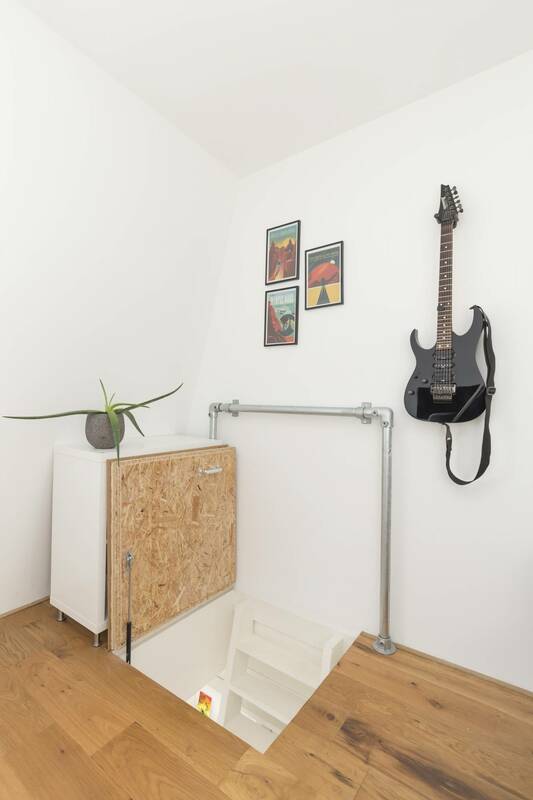 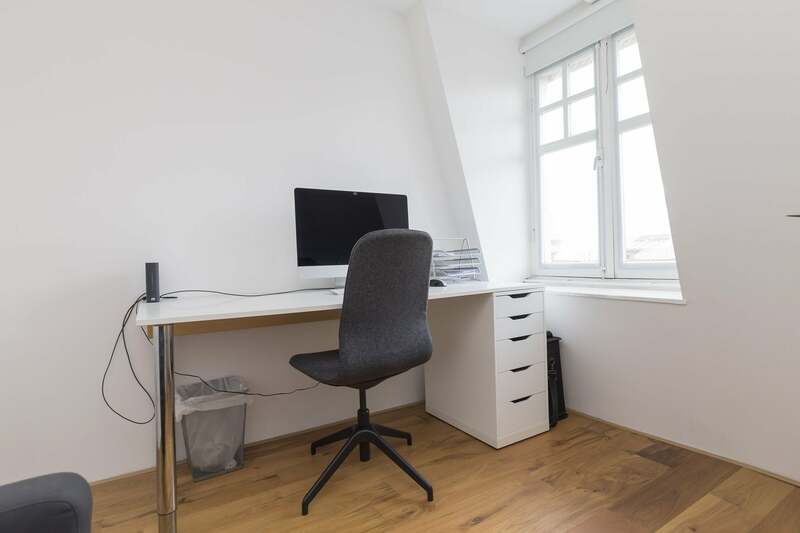 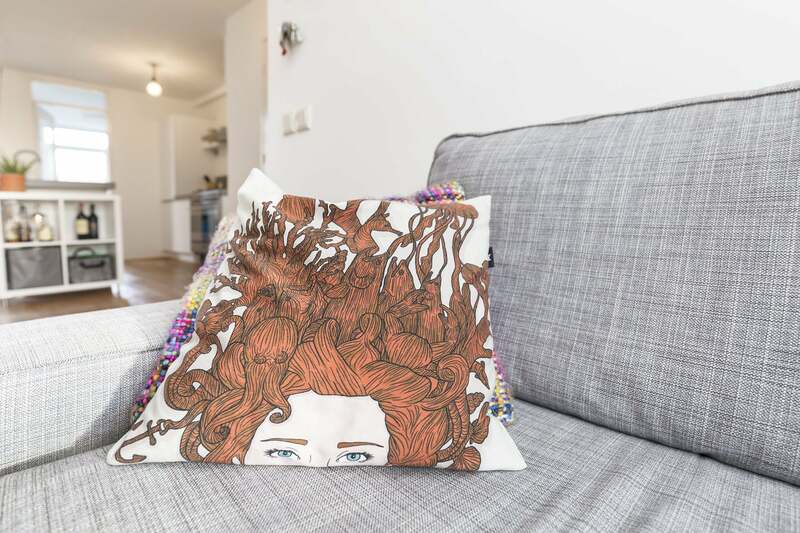 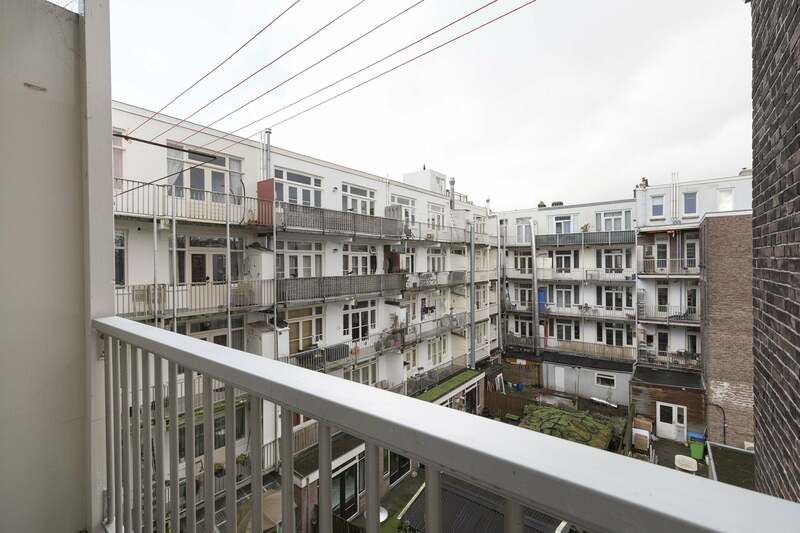 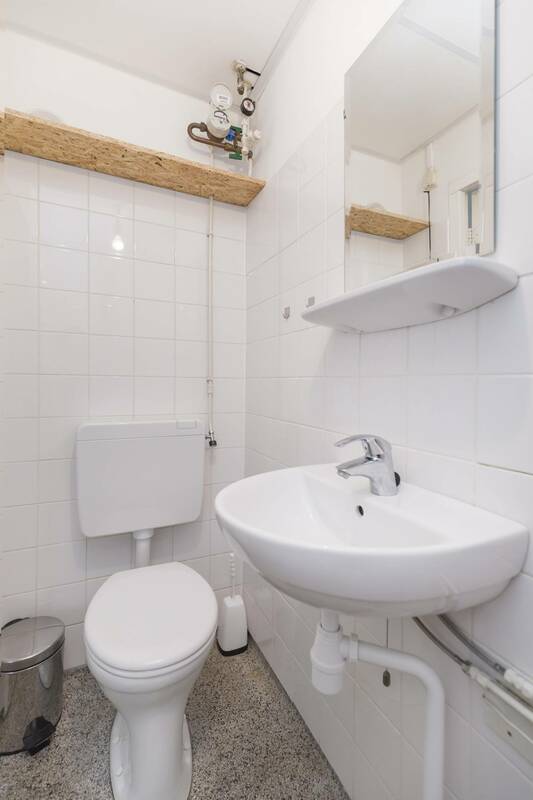 Inhabiting the capital’s south west corner, the accommodation allows you to experience authentic Amsterdam life from the comfort of a friendly, relaxed neighbourhood. 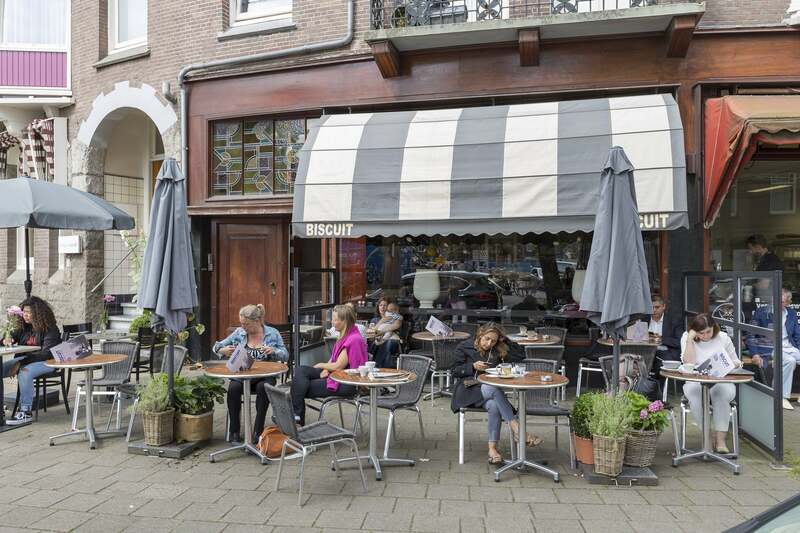 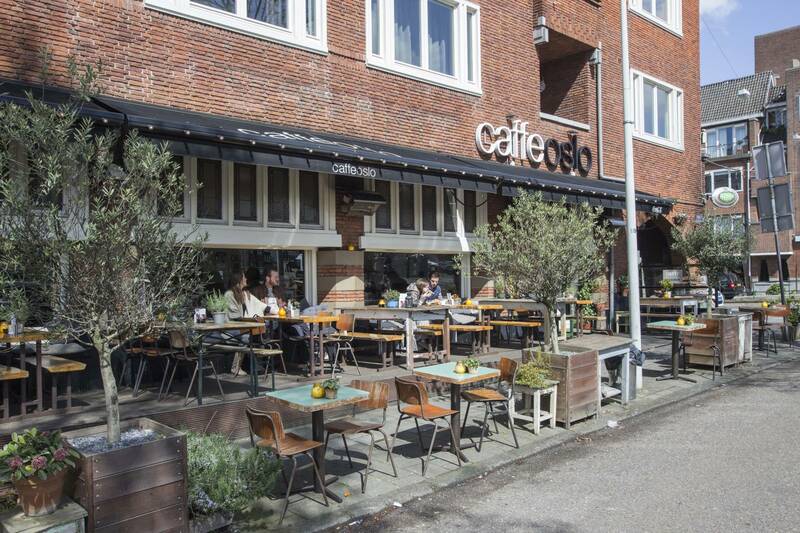 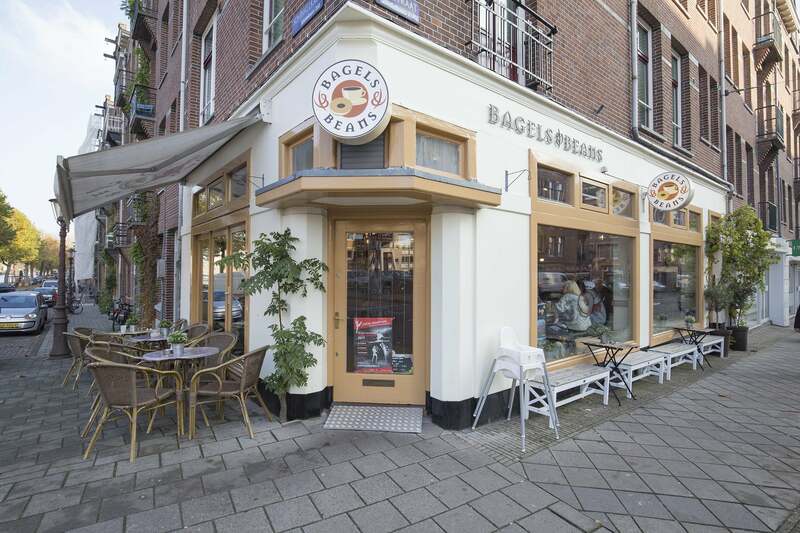 Popular amongst expats, the quarter has become a hotbed for cool cafes and superb restaurants, many of which adorn the nearby Amstelveenseweg. 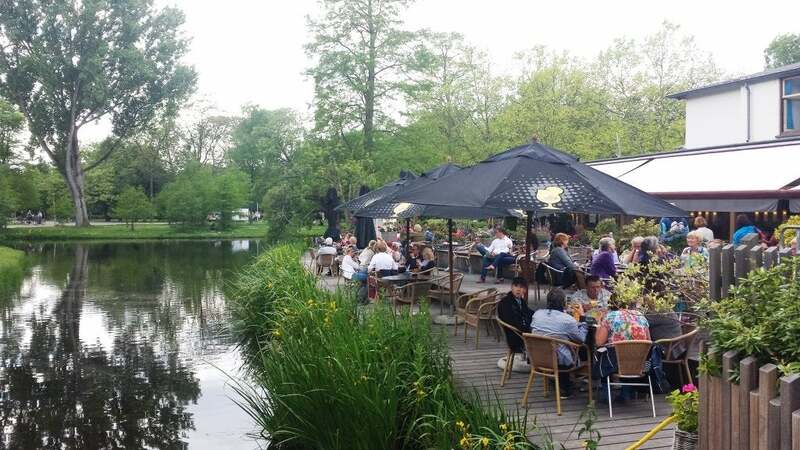 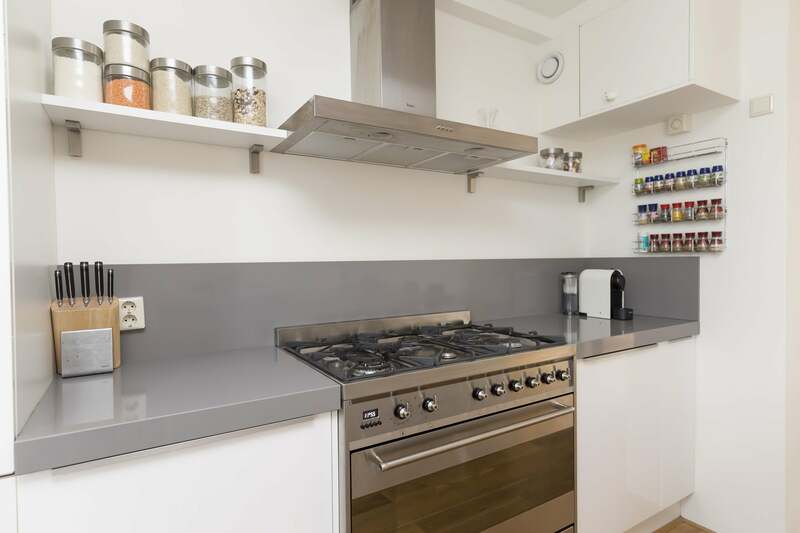 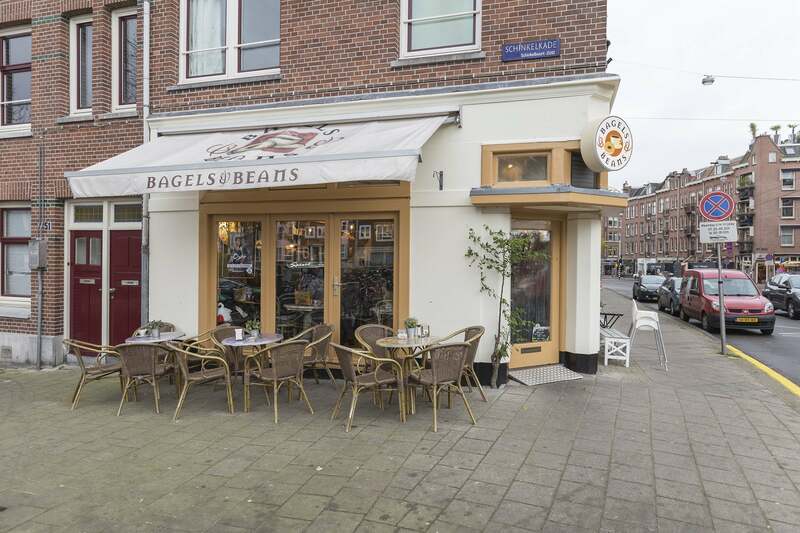 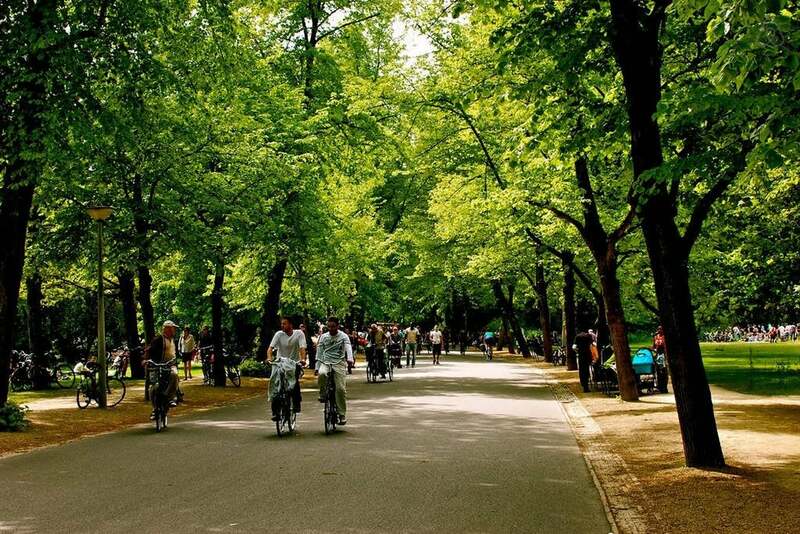 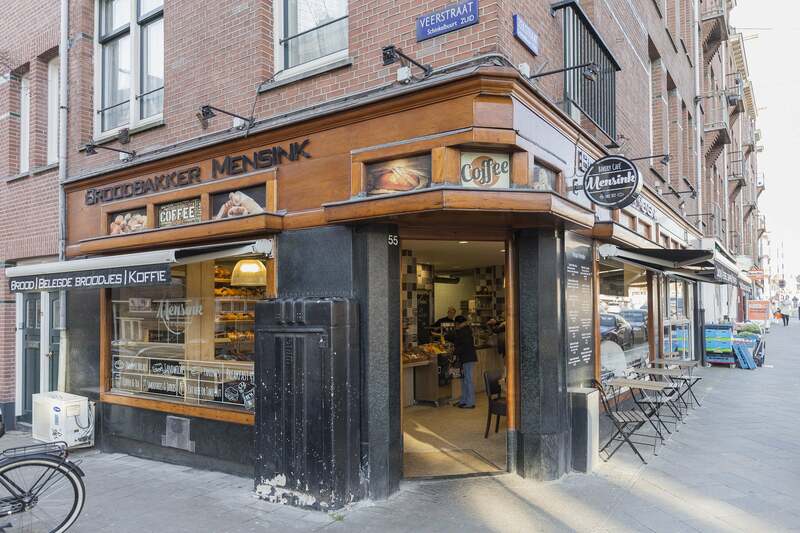 The nearest supermarket resides within 300 metres and the picturesque sanctuary of the Vondelpark is accessible on foot in less than 5 minutes. 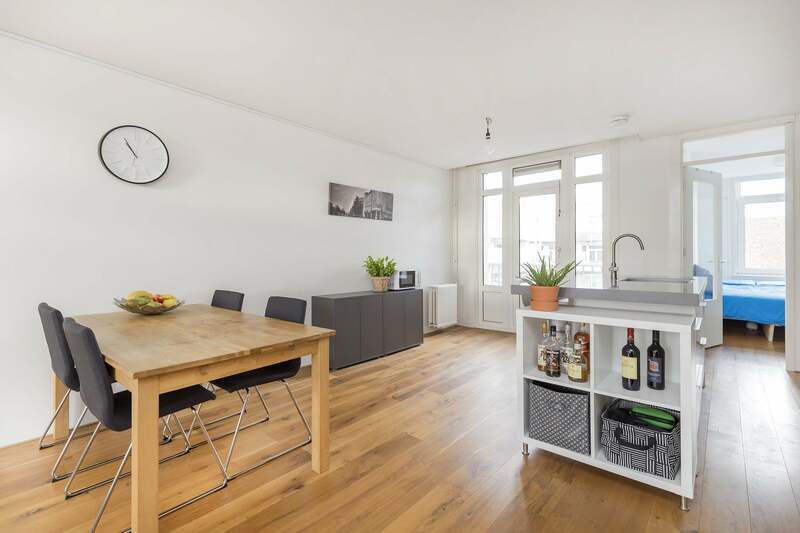 A selection of public transport links ensures easy admission to all four corners of the city, with tram line 2 delivering you to Amsterdam Central Station in just 20 minutes. 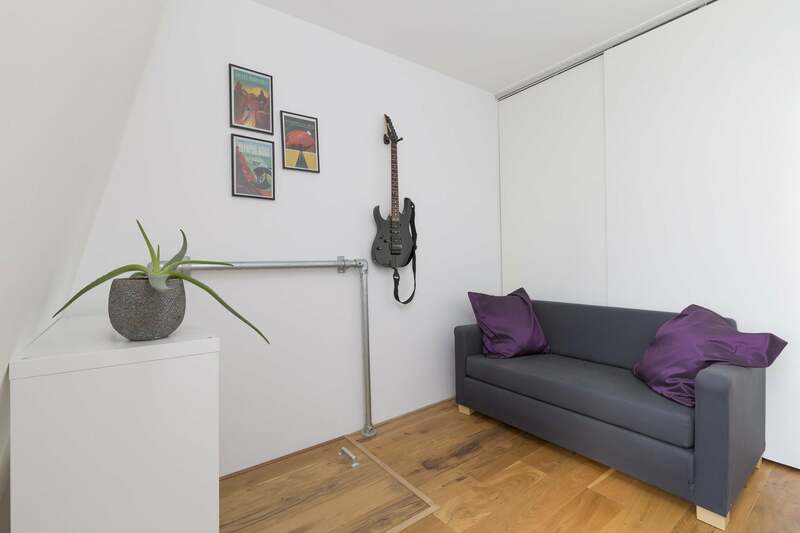 Proximity to the A10 ring road also makes the apartment a shrewd choice for car owners. 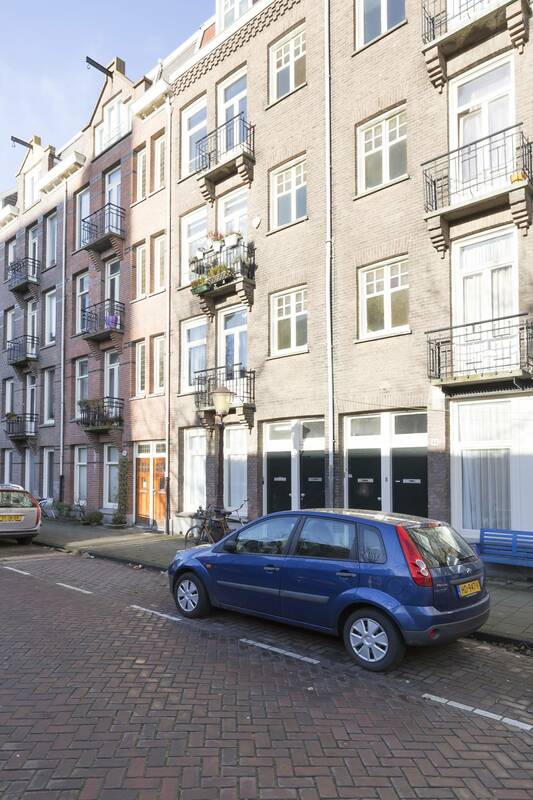 With its appealing interior and desirable location, a visit to this quality Amsterdam home is certainly worth your while!